Children learn to love the sound of language before they even notice the existence of printed words on a page. Reading books aloud to children stimulates their imagination and expands their understanding of the world. It helps them develop language and listening skills and prepares them to understand the written word. When the rhythm and melody of language become a part of a child’s life, learning to read will be as natural as learning to walk and talk. 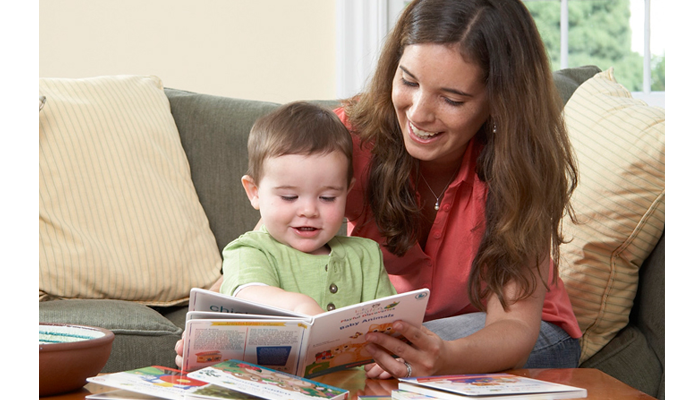 Even after children learn to read by themselves, it’s still important for you to read aloud together. By reading stories that are on their interest level, but beyond their reading level, you can stretch young readers’ understanding and motivate them to improve their skills. Although the life of a parent is often hectic, you should try to read with your child at least once a day at a regularly scheduled time. But don’t be discouraged if you skip a day or don’t always keep to your schedule. Just read to your child as often as you possibly can.Taking the time to read with your children on a regular basis sends an important message: Reading is worthwhile. You may go through a period when your child favors one book and wants it read night after night. It is not unusual for children to favor a particular story, and this can be boring for parents. Keep in mind, however, that a favorite story may speak to your child’s interests or emotional needs. Be patient. Continue to expose your children to a wealth of books and eventually they will be ready for more stories. Having access to information through the printed word is an absolute necessity. Knowledge is power, and books are full of it. But reading is more than just a practical tool. Through books we can enrich our minds; we can also relax and enjoy some precious leisure moments. This is especially true when you make a whole activity out of reading. Let your child munch on some healthy snacks while you read them. Melaleuca products like Simply Fit baked crackers are a great, healthy choice. With your help, as your children begin a lifelong relationship with the printed word, they can grow into adults who read easily and frequently whether for business, knowledge, or pleasure.